As a qualified Chartered Accountant, I have been groomed in the field of auditing. You first conduct what is known as a “pre-engagement” activity – where you research the client and find out everything about the company, its people, its finances and history. Based on your research, you prepare an “audit plan” and conduct audit tests to limit the exposed audit risks. Part of that process is to speak to other people to learn more about the perceived risks. After analysing the results of the audit tests, you make your decision on the overall financial risk. You compile your report to the client and take action by qualifying your statement of opinion. 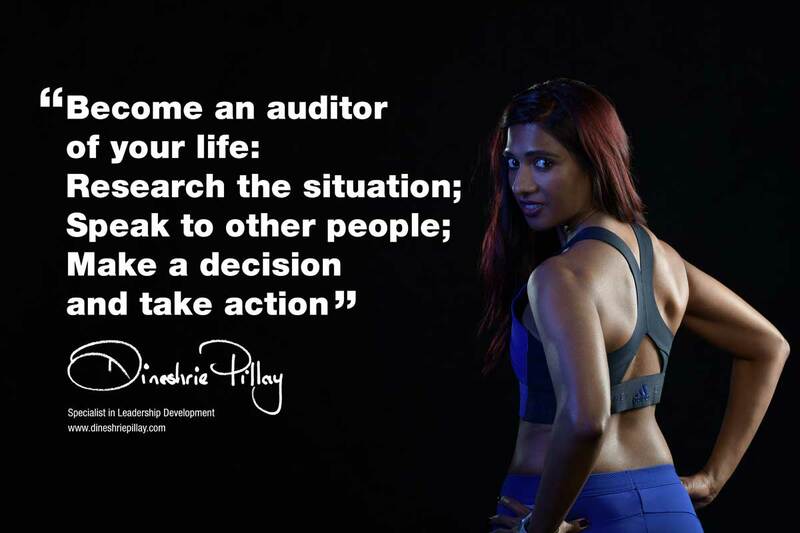 In life, when you are faced with a change, you too can become an “auditor” of your life. Say you making a decision to take up a new position that requires you to relocate to another city. You can first ‘research’ that company, its history, the people that work there. You can also conduct some research on the city to form your initial opinion. Based on your research, you can then speak to other people who work for the company or know of the company. You can also speak to people who have already relocated like you and have made a success of the situation. After you have conducted your research, you make your own decision and take action based on your “research findings”. Rational facts allow you to act with tact. This rational approach to decision-making allows you to make incremental changes in your life toward success.